House Foreign Affairs Committee passes resolution condemning PA incitement, urges State Department to monitor the PA. 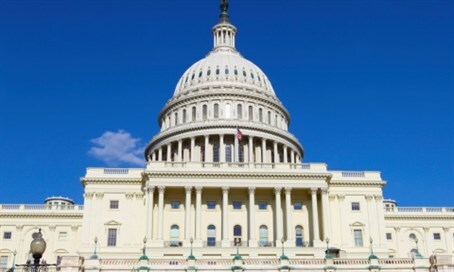 The House Foreign Affairs Committee on Thursday passed a bipartisan resolution condemning anti-Israel and anti-Semitic incitement within the Palestinian Authority. “The escalation of violence against Israelis is praised, encouraged, and even fueled by Palestinian Authority officials. This resolution rightly condemns this incitement and the outbreak of violence, and expresses support for those who are working to encourage peace and cooperation between Israelis and Palestinians. It is critical that we stand by our ally Israel at this challenging time,” said Rep. Ed Royce (R-CA), who chairs the Foreign Affairs Committee, after the passing of the resolution. “This latest round of terror and violence is just that – only the latest round of terror and violence. It may take a new form – with knife attacks being the preferred method of terror this time around – but the reality is that it is what we have come to expect when the Palestinian people have been indoctrinated and incited to violence for years and years by their supposed leaders,” she continued. “We need to hold Abu Mazen and the PA accountable for their actions to date, and let the PA know in no uncertain terms that it needs to stop fueling the violence and start working toward peace. We need the parties involved to reconcile their differences and come together to deescalate the tensions,” said Ros-Lehtinen. There have been countless instances of Palestinian Authority officials encouraging acts of terror against Israel, using their media outlets as well as their schools, where young children are encouraged to become “martyrs” from an early age. The recent spate of incitement and terror follows Abbas's call last month for violence to stop "filthy" Jews from visiting the Temple Mount, the holiest site in Judaism, which came amid his praise of "blood spilled for Allah." Abbas effectively canceled the 1994 Oslo Accords at the UN the day before the October 1 murder of Rabbi Eitam and Naama Henkin in front of their four young children, the first high-level attack which opened the current wave of terror.